Joyce Ralston Payton, who is a member of the Hollywood’s Garden of Allah Novels Facebook Group, posted this photo of Anna Mae Wong to the group. She rightly suspected the photo was taken at the Garden of Alla. Anna Mae Wong’s first appearance in movies was in Nazimova’s “The Red Lantern,” which was released by Metro Pictures in May 1919. 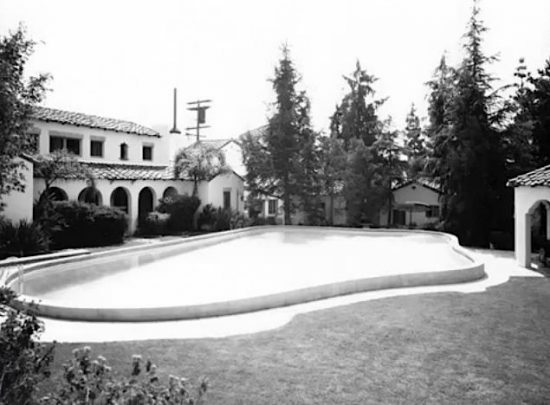 We know that Alla had installed the pool at Hayvenhurst estate not long after she leased it in August 1918, so it’s likely the photo could have been taken in the spring of 1919. What a thrill to bring up this website and see my name jump out at me!! haha I love Anna Mae Wong and to see her at Nazimova’s pool was just too delightful. I’ve been bewitched by the Garden of Allah since High School and that’s a very long time. Hey Joyce, just giving credit where credit is due!